China's 144-hour visa free transit policy makes a layover in Shanghai and its surroundings without a visa much easier than ever before. This policy gives travelers from 53 countries or regions the ability to visit the Shanghai Municipality, Jiangsu Province and Zhejiang Province for up to 144 hours with a visa exemption. This makes it easy to visit great places like Suzhou, Hangzhou, Nanjing, and water towns like Wuzhen, Zhouzhuang and Tongli. We can help you plan your layover tour to meet your interest. What are the things to do in Suzhou? 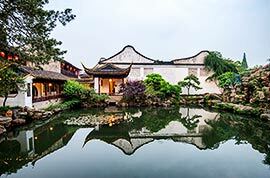 What makes Suzhou an attractive place for many travelers is the city's classical gardens. It is nicknamed the City of Gardens for possessing more than 60 gardens. 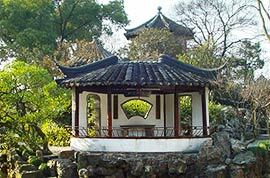 Some of the best well-known are the Blue Wave Pavilion, Lion Grove Garden, Humble Administrator's Garden and the Lingering Garden. These four gardens respectively show the artistic styles of the Song, Yuan, Ming and Qing dynasties. Often two or three gardens are sufficient for most visitors although each of them has its own features. If you are keen on architecture, history and scenery, Suzhou Gardens won't disappoint you. 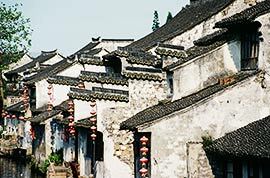 When traveling to cities in the Yangtze River Delta, a trip to one of the ancient water towns is well worth experiencing. One can enjoy the old streets, antique residential houses, charming waterscape, various bridges and traditional folk customs. Some of the most popular water towns are Tongli, Nanxun, Zhouzhuang, Luzhi, Wuzhen and Xitang. Though built hundreds or even over one thousand years ago, these water towns have integrally retained their original style and historical charm. Only a short distance from Suzhou, any of these water towns makes a very good choice for a day-trip. The advanced high-speed rail network enables people to travel by train from Suzhou to the famous cities like Hangzhou, Shanghai, Nanjing and others from 30 minutes to 2 hours. 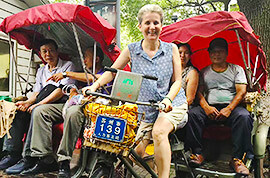 If you have ample time, you may also extend your private Suzhou tour to these cities based on your interests. The above schedules are only for your reference. If you wish to extend your Suzhou tour to other cities via train, please contact your travel consultant for more information. Suzhou has a subtropical monsoon climate with four distinct seasons. The weather is often mild and moist, neither too hot nor very cold. As the seasons change, Suzhou Gardens greet visitors with different beauty. The exquisite garden architecture coupled with blooming flowers in spring, lush green trees in summer, glorious colors in autumn and silver-coated scene in winter will bring you an unforgettable travel experience. Would you please advise, If i arrive in shanghai hongqiao at 13.15pm, what time should i book the fast train to suzhou? And which railway station? We're 5 people, with 3 adult and 2y & 8y kids, is that OK for us to take train to suzhou, or you maybe by bus? We stay 27-29 dec for 2 days, please advise for destination to visit on winter? is it very cold weather? so i can prepare for those kids. I suggest you book a high speed train leaving from Shanghai Hongqiao Railway Station after 17:00pm. Hongqiao Railway Station is only a 10-15 walk from the Terminal 2 of Hongqiao Airport. If you arrive at Terminal 1, you may take subway line 10 to get to the train station in 5 minutes. The train journey from Shanghai to Suzhou only takes around 30 minutes. An the end of December, Suzhou is in the winter with colder weather and its temperature hovers between 2°C (36°F) and 11°C (52°F). 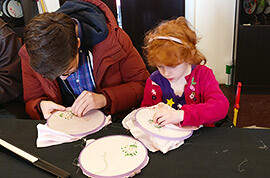 It snows sometimes, so warm clothes are necessary, especially keeping warm for kids. However, you can also appreciate the winter view of Suzhou. As for the sightseeing spots, Suzhou is well-known for its elegant gardens, you are recommended to visit one or two gardens like Humble Administrator's Garden, The Master of Nets Garden or Lingering Garden. Besides, Suzhou Museum nearby the Humble Administrator's Garden is also worth visiting. Another popular place is Pingjiang Road, the largest and best-kept historical block in Suzhou city. 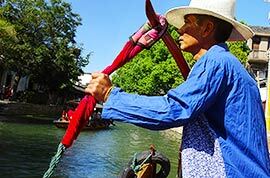 Since you have two days, if you are interested, you can spend the other day exploring a nearby water town, like Zhouzhuang or Tongli. We are in Suzhou from 2nd Febr. for 2 days. What can we see & maybe local accommodation? 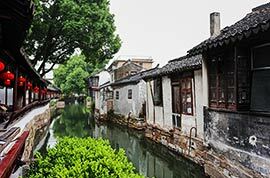 Or you may spare a day to the nearby water town like Tongli. For accommodation, it is very easy to find in downtown. I suggest you stay near Pingjiang Road. In Suzhou, I read somewhere that the garden of the Master of the Nets is open at night. Yes, the night garden trip is available from 19:30 to 22:00 in the Garden of the Master of the Nets during the high season from April 1 to October 31.
can you help me with getting to this places by public transport in 2 days that we will be there? lion grove garden, humble administrator garden, lingering garden, pingjiang road, tiger hill, nanshan bamboo sea, hanshan temple and also tongli water town or zhouzhuang water town. which one of the two water town is better to visit? Hi, I suggest you a 2 days trip. The first day: Humble Administration Garden, (walk to) Suzhou museum, (Bus 202) Pingjiang Road, (subway Line 1) Jinji Lake. 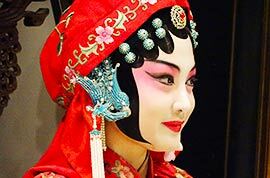 The second day: Hanshan Temple, (Bus 816) Tiger Hill, (Bus 1) Shantang, Kunqu Show in Shantang. We'd like to visit to Suzhou just for a day trip. Would you please advise if it is possible and what is best way to travel (by Bus or Train, and travel time it will take. where can we get off in SZ to see the city and Waterfront areas( Venice of Asia). For our return journey where we catch our Train back to Shanghai. Train travel is the most convenient way between Shanghai and Suzhou. You can get off at SZ railway station. One day time can only cover three to four gardens.